Don't miss our Vince Coleman/Billy Hamilton "Men of Steal" Bobblehead Night on Saturday, July 23 as we honor the former Louisville Redbird and former Louisville Bat. The first 2,000 fans through the gates will receive a bobblehead. Be sure to arrive early as these bobbleheads will move fast! Gates open at 5:00 PM. 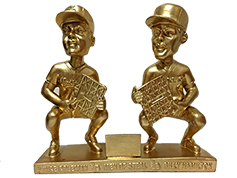 Will you strike gold on bobblehead night? ORDER ONLINE: You may purchase tickets to Vince Coleman/Billy Hamilton "Men of Steal" Bobblehead Night by clicking on the link above. All online orders are subject to a $1.75 per ticket convenience charge. 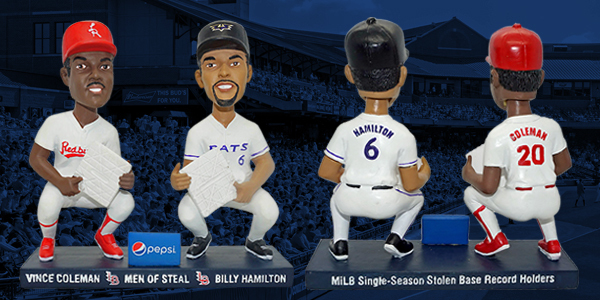 ORDER BY PHONE: For questions regarding Vince Coleman/Billy Hamilton "Men of Steal" Bobblehead Night or to order tickets by phone please call the Bats Ticket Office at (855) 228-8497. Tickets purchased by phone may be left at Will Call or mailed. A $3 phone order fee will be applied to each phone order. 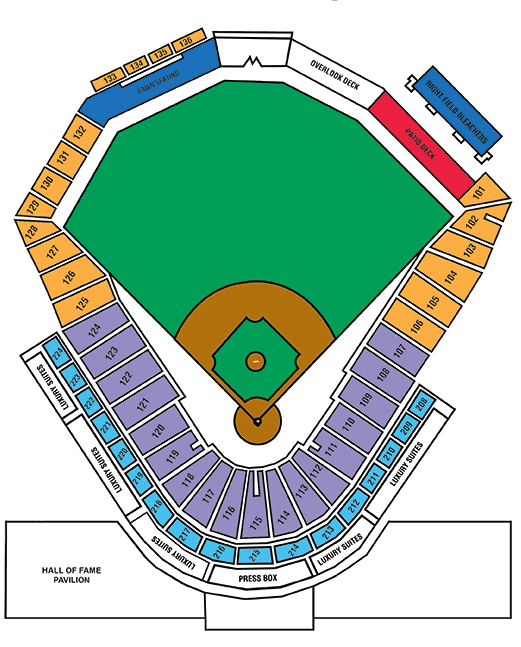 ORDER IN PERSON: Tickets may be purchased in-person by visiting the Louisville Bats Advanced Ticket Window located on the corner of Preston Street and Main Street during normal business hours. Guarantee yourself a Vince Coleman/Billy Hamilton "Men of Steal" bobblehead on the night of the game when purchasing a Guaranteed Bobblehead Ticket. Each Guaranteed Bobblehead Ticket cost an additional $8 per ticket. A limited number of Guaranteed Bobblehead Tickets will be sold.